Beautiful Beveled Glass Window. Was installed into a bath room window over the tub. Please call 713-899-0933 for more information. This entry was posted on January 12, 2011 by alliekayglass. 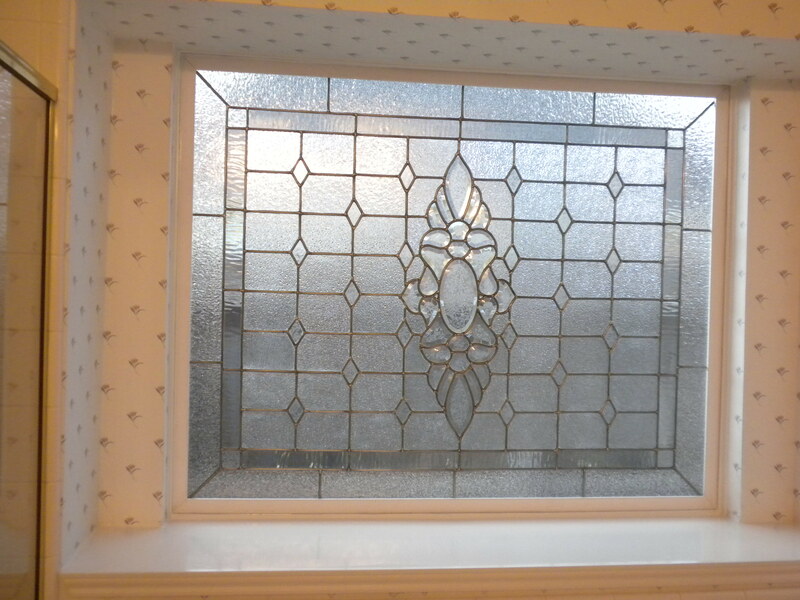 It was filed under Customized Glass and was tagged with bathroom, Beveled, leaded, Stained Glass, Window.